An intense bouquet filled with the scents of ripe plums, flowers, toasted walnuts, and oak is divine. This expansive wine is silky, rich, very generously flavored, long, and full bodied on the palate. It is fully mature, but there is little chance of this wine falling apart for at least another decade. 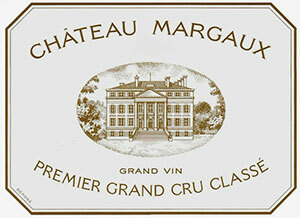 I have high hopes that the 1982, 1983, and 1986 will ultimately surpass this vintage of Margaux. The 1961 is a top-flight wine and unquestionably the last great Margaux until the Mentzelopoulos era began its remarkable string of great Margaux in 1978.Anticipated maturity: Now. Last tasted, 4/91.